Here is an e-mail that I received from the Ministry of Transportation, giving an update on the Greenstone Road. Can you please forward to ALL members. Also, please note that the Durand (off Tunkwa) is still closed. I haven’t heard otherwise, so we are making the assumption that the Domenic cut off is still snowed in or far too wet to use. So it appears for the first time, that I know of, the Duffy/Greenstone area is closed to campers and ORV users this weekend. With the recent rain/snow melt issues there are concerns of additional damage to the trail system and a chance of more wash outs, therefore, I am recommending that all ORV trails not be ridden on until soils begin to dry out. I’m unsure of what the soil conditions are in the Greenstone/Duffy/Inks area, but if riding continues this will create additional rutting and accelerate erosion, which will cause unnecessary damage to the trial network. This will require much restoration (money) when the soils have dried out. Getting ready for riding season! Just pushed completely revised on-line trails map page to website. More data rolling in from Blue Mountain, Chipmunk, and other areas. Will keep updating as trail stewards get me new trails data. BCORMA Trails app will be released from beta for this season to use on your Android phone in the backcountry. Merry Christmas and Season Holidays to Everyone from BCORMA! Just posted April 22nd, May 6th & June 10th dates for Mike's BCORMA MSF DirtBike School classes at Bear Creek. Classes are for Adults & Youth. Need more info, email me and I'll pass along to Mike. Popkum dates with Christy coming soon. Got a full day of proposed Natural Resource Road Act (NRRA) legislation meetings. The Government ORV stakeholder consultations are now coming back on line after a hiatus. Go to http://bcpsc.ca to link to Government NRRA information pages. This proposed legislation could have large changes on our sport, both increased access but with more requirements. Your Provincial Off-Road Motorcycle Federations from Nova Scotia, New Brunswick, Quebec, Ontario and British Columbia met over this past weekend in Toronto. We brainstormed on ways to make dirt biking in Canada even more fun for families and approachable for new riders. The British Columbia Off-Road Motorcycle Association (BCORMA) is pleased to announce that the Back-Country Power Sports Coalition of BC (BCPSC) meets regularly to discuss matters of mutual interest. The BCPSC consists of BCORMA in partnership with the British Columbia Snowmobile Federation and the Quad Riders ATV Association of BC Association, representing off-road vehicle enthusiasts of BC. Major upgrade to BCORMA Trails app out! 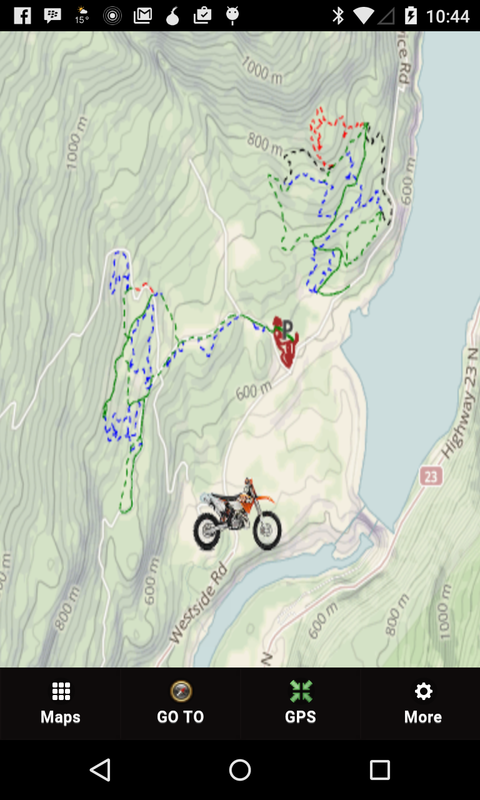 Just pushed up a major upgrade to beta BCORMA trails app! Should auto update to your phones today if beta tester. Look for v16.08.151225 in app install page.